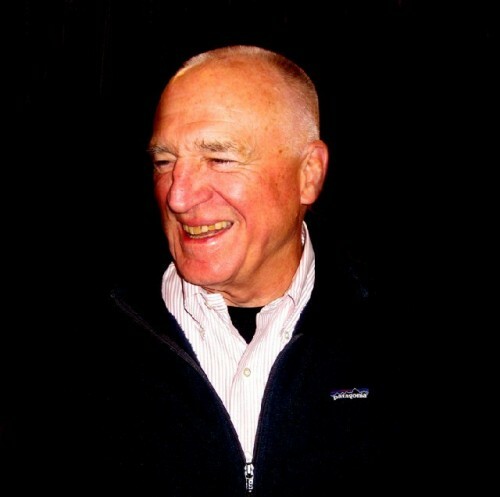 Joe Thompson the director of Mass MoCA. 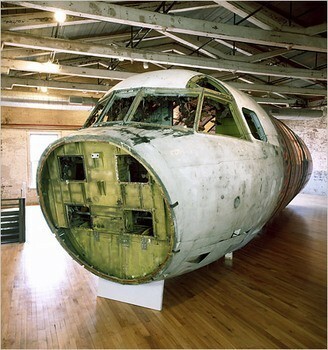 Huang Yong Ping’s "The Bat Project" recreated the fuselage of a US spy plane downed over China on April 1, 2001. 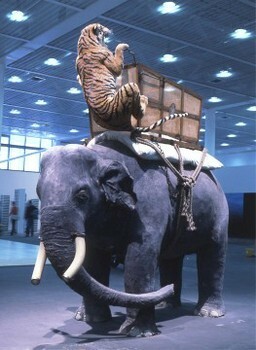 Ping’s "The Nightmare of George V," 2002, recounted a royal tiger hunt in 1911. 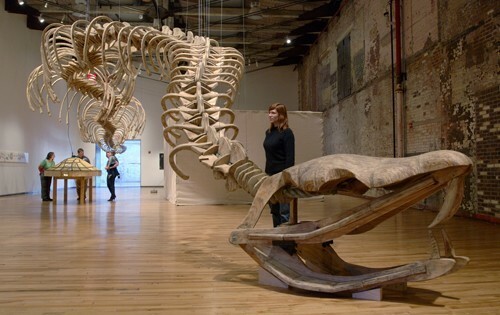 A giant python from Ping’s Mass MoCA installation. Lin Tianmiao showed recently at New York’s Asia Society. 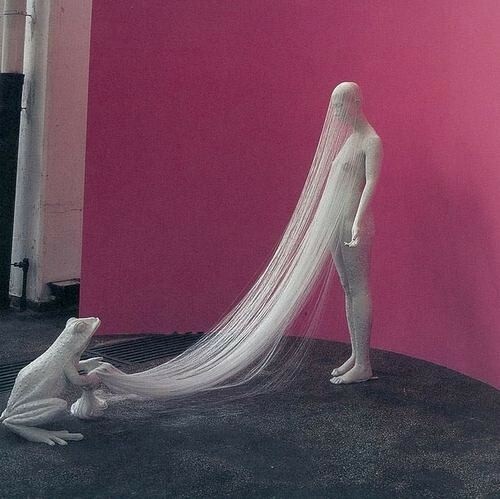 Work by Tianmiao interests Thompson. 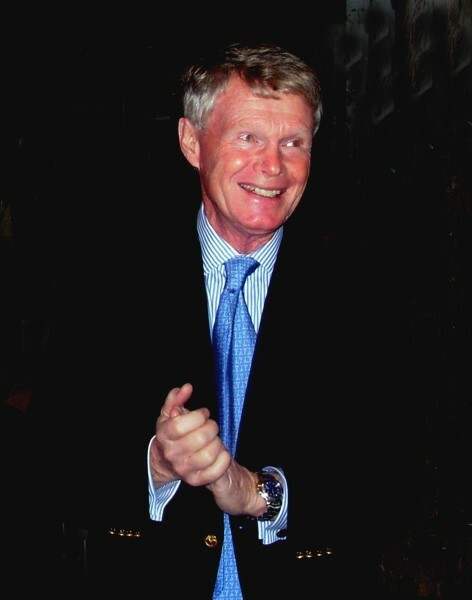 Investment banker John Wadsworth introduced Thompson to many Chinese contacts and artists. Giuliano photos. Board member Duncan Brown participated in the Mass MoCA Meets China trip. 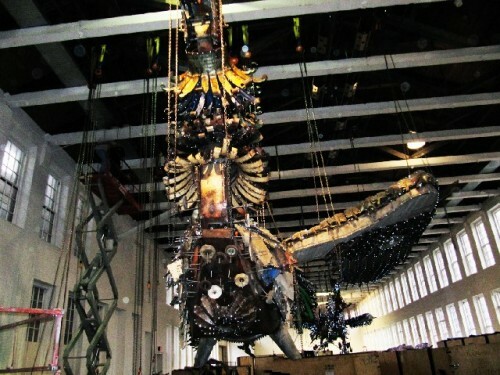 The Phoenix project by Xu Bing during installation in the vast Building Five. 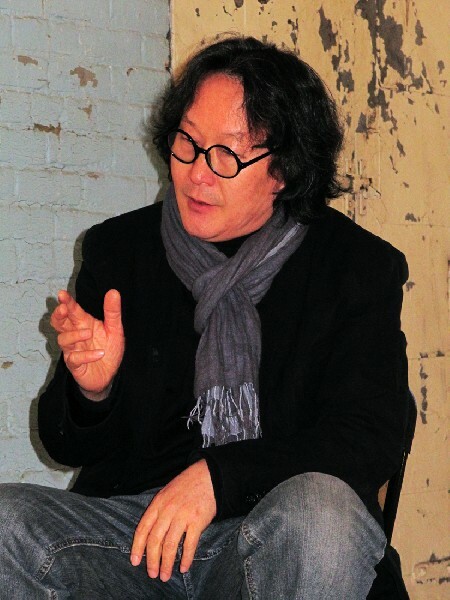 Xu Bing met with the media to discuss his work. The artist makes a point. 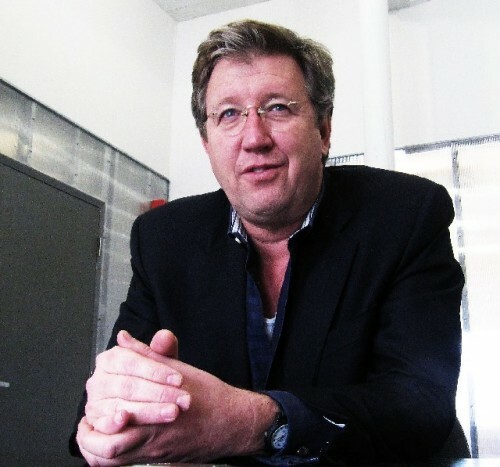 By e mail there were a number of exchanges with Mass MoCA director Joe Thompson leading up to a press conference with the artist Xu Bing prior to the opening of Phoenix at Mass MoCA. There were many issues that led to a follow up dialogue. This is the first of two parts of the discussion of Mass MoCA's unique interest in contemporary Chinese art. It adds to an extensive interview about Mass MoCA with Thompson in 2012. 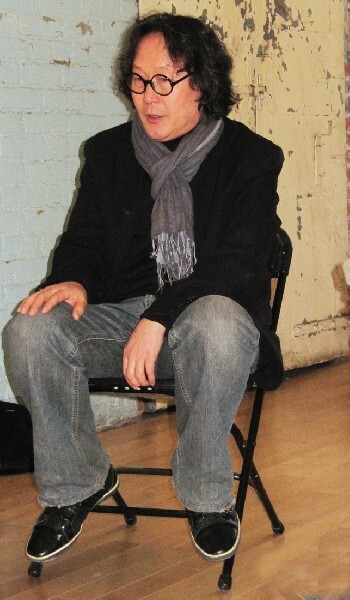 Charles Giuliano In 2008 Mass MoCA mounted Eastern Standards: Western Artists in China. In the vast Building Five the current exhibition Phoenix by Xu Bing is the third featuring a Chinese artist. Joe Thompson I would add one more that is more than tangentially related Simon Starling: Nanjing Particles, 2008-2009. (Boston Globe review) It was about our site’s confluence with Chinese laborers in the late 19th century. CG In the field of contemporary American museums one would say that Mass MoCA has been involved early and often. JT There are a couple of things. An incredible amount of really exciting work has come out of China. It has come out of a lot of other places as well. With the emergence of China in global markets, in the broad sense meaning both economic and commercial markets. Also, the market place of ideas. China has become more powerful as literally a country finding its voice on the global stage right before our eyes. In real time we are getting to watch China work out for itself, sometimes painfully, its attitude toward the world and its attitude toward itself. Any time you have a development like that which brings together incredible economic and political might, coupled with great history which you are watching unfold in real time, looking closely, and hearing the voices of artists, is important. That’s something that you and I talked about recently. There’s just something about major Chinese artists. We’ve been lucky enough to work with three of the leading artists. The best and most successful of these artists are able to communicate ideas at a very large, theatrical scale. They don’t fear hitting you on the nose with a major narrative punch. CG That certainly describes the installations you’ve had at Mass MoCA. JT I’m just flipping through a book here of other artists. 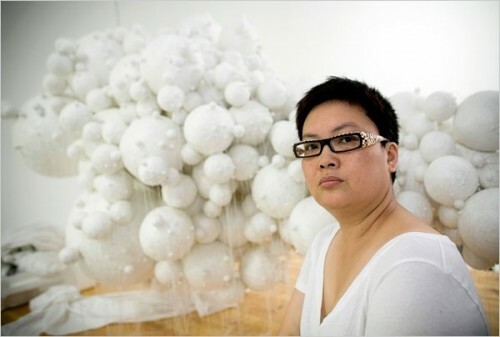 Did you see Lin Tianmiao's show at the Asia Society in New York? She works in a very delicate material, fabric, in lace and silk. She creates vivid, entire environments. They encompass and draw you in. She doesn’t necessarily make large works. The list of artists goes on and on. Perhaps, as a function of the same thing that drives Chinese commerce. It’s possible to hire a large number of studio assistants. To gather large amounts of material. To create big productions with an economy which is simply not possible for most Western artists. Gu Wen Ba is another. You mentioned Ai Weiwei during your interview with Xu Bing. He is someone the whole world has focused on. CG Have you met Ai Weiwei? JT No I have not met him. I spent time in his studio in Beijing with one of his studio assistants. We saw a lot of fabulous work. CG Have you seen his Hirshorn exhibition? JT No but I plan to see it. CG When did you first become interested in Chinese art? Can you give us a timeline. JT It happened through coming to know Huang Yong Ping’s work. In 1998, we were talking about an exhibition that included his work. That was before the museum opened. He was in an exhibition called Unnatural Science, in 2001. We were intrigued by his work and read around it and through it came to know others. CG That was incredible work. The idea of putting Marcel Duchamp books in a washing machine and reducing it to pulp was amazing. 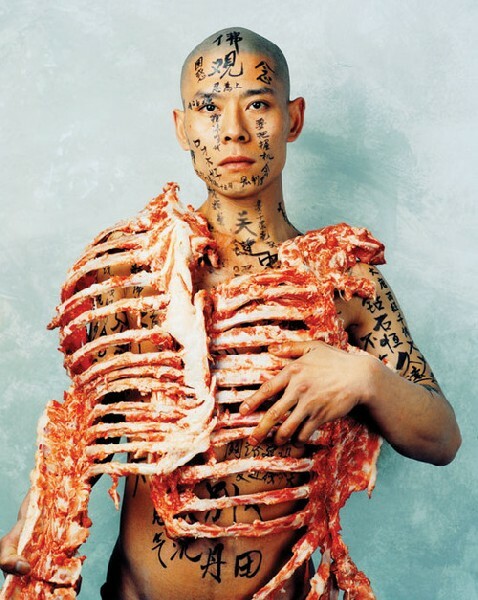 JT There is another artist Zhang Huan. Early on I became interested in his performances. CG Is he the artist who lay naked on a block of ice at PS1? JT I don’t know that work but it sounds like something he would do. There was a piece in which he covered himself in honey and then immersed himself in an open sewer pit. He remained in the latrine and allowed himself to be covered with flies. There is an incredible series of images of that performance. The work that he sells are these really beautiful ash paintings. CG When did you travel to China? JT I have been several times but the really eye opening one was a trip Susan Cross (MoCA curator) and I took with Jack and Susie Wadsworth, Duncan and Susan Brown. It was a Mass MoCA Meets China trip in 2007. I’ve been back twice since. Once I was a speaker at the Hong Kong Art Fair. Another time I was invited by the China Foundation which organizes curatorial seminars and sessions between people who are interested in Chinese art. The first trip was two weeks and we focused on Beijing, Shanghai, and Hong Kong. It was almost exclusively artist studio visits and museums of contemporary art. We didn’t see The Great Wall or even a single temple. We visited four or five studios per day for two weeks. It was a deep immersion. That’s when I met Xu Bing. CG We were actually in China before you were. I don’t recall the exact year. Because I was teaching I made a deal to be gone for just one week. We left on a Friday and I had a nine AM class on a Monday. I almost went off the road commuting that night to a class. We were there to participate as a curator of a show by a German/ American artist Debora Mache. I later showed her work at New England School of Art & Design. Because of complications she arrived mid-week in Shanghai and did not manage to get her entire show through customs. We were there perhaps too early as we didn’t get to see any contemporary work. We did, however, experience a changing culture with a lot of pollution to go along with its progress. JT When I went to Hong Kong for the Art Fair it was for four days. Those are punishing trips. CG In talking with you about China however limited we have a frame of reference. In my review of Phoenix at Mass MoCA I referenced how Xu Bing was evasive during the press conference. He avoided answering political questions. I don’t think we can loose sight of the fact that, for all of its progress, China remains a communist country. So how do you navigate that? JT I can’t recall specific instances where we had issues. It felt more or less unfettered. You noticed things. Internet access was definitely truncated. You were very aware of just seeing a part of what was coming down the internet pipe. Big chunks of it were missing. Ping lives in Paris but Cai Guo-Qiang and Xu Bing still have lots of interactions with Official China. Xu Bing is an employee as he runs the art school there. He has a complicated series of relationships. I was always amazed at how, during the run up to the Olympics, Guo-Qiang had run afoul of one censor or another. One of his pieces about labor and studio labor had raised hackles. Yet, at the same time, he had very good contacts through the Chinese Consulate in New York. I told him “I’m surprised that you have such good communication given the fact that you are having conflict with this one issue.” He said “We are very good at compartmentalizing in China. We may have trouble with ministry X but that doesn’t interfere with going to dinner with ministry Y.” There’s a real fluidity, a sophistication to it. They’re used to having multiple, parallel conversations. CG When you discuss global art a benchmark for scholars is Magicians of the Earth, at the Pompidou Center and La Villette in 1989. (It included 100 artists half from Europe and the United States and half from the rest of the world.) That project first introduced curatorial and critical interest in non Western and Third World artists. JT That’s something we learned through first working with Ping. He made us aware of how information was controlled. We had the Spider piece in which there were little pamphlets about Marcel Duchamp or Robert Rauschenberg. There were very simple one or two page descriptions. He said they would get traded, secretly passed from artist to artist. This was in the mid-‘80s. Everything you learned about the West was secretly traded. If an artist got to travel and came back there was a feeding frenzy because people wanted to know everything. People would give slide shows and lectures about what they saw and learned. The hunger for information was profound. CG That also describes an era when the ICA under director David Ross was very interested in art during the breakup of the former U.S.S.R. It was very interesting at the time but, since then, there doesn’t seem to be the same level of global interest in Russian art. With later social, political and economic changes there isn’t that same sense of urgency. One wonders if that will also be true for Chinese art in the coming decades. Right now there is a synergy of conflating China’s ancient cultural legacy, the effort to create contemporary work, and living under the constraints of a conservative communist regime with its oppression and censorship. For the moment, those are elements that charge the work and make it so compelling to us. JT That’s absolutely true. We are very fortunate to have two excellent sources for cultural exchange. One is the Wadsworths who have a long rich experience of having lived in China and Japan. They have a deep knowledge of contemporary art and have been solid supporters of Mass MoCA. They have introduced Susan (Cross) Denise (Markonish) and I to a wide range of contemporary sources, people, and friends in China. I wouldn’t know artists like Xu Bing without Jack’s introduction to them. He’s a partner with Nancy Fitzpatrick in Porches. He’s a long time trustee of Williams College and an investment banker with Morgan Stanley. He opened Japan for Morgan Stanley and was the first Western banker in Beijing. Again he opened the market for Morgan Stanley and lived there for 15 years. He became an ardent student and collector of Chinese art. Susie Wadsworth, his wife, is on our board. CG So that was influential in pointing you in this direction? JT Absolutely. He knows the museum people. He knows the artists, the critics, and philosophers. He was the one who organized that very important trip for me, Susan Cross and Duncan Brown, another board member. It was great. We got to meet a lot of people. Another important resource for us was Johnson Chang. He was one of the very first Chinese students in the United States. He graduated from Williams in the late 1970s or early 1980s. Returning to China he became one of the leading gallerists and impresarios. He started the Shanghai Triennial, He’s a fierce, active intellectual in the China scene. I got to know him and he was very helpful. During my various trips to China he would help me to meet people. CG Discuss the degree of difficulty involving the logistics of these projects. You described during the press conference the “slow boat from China” in getting the Xu Bing materials to Mass MoCA. Since Ping lives in France I would image that was less difficult. But these have been massive projects. JT We have done three distinct exhibitions with Ping. For the first he was one of nine artists in Unnatural Science. For that we showed an existing work, The Pharmacy. The second was a work in a group show we did with the Society for the Preservation of New England Antiquities. For that we made a new work. That big boat. It was fabricated here for him as a part of an exhibition. We loved working with him. It was so interesting to work with someone who spoke fluent French. Chinese of course but not much English. It was one of the easiest communications we ever had. We talked with him about doing a larger show. He pointed out that the Walker (Art Center in Minneapolis) was doing a retrospective. So we participated in that exhibition.